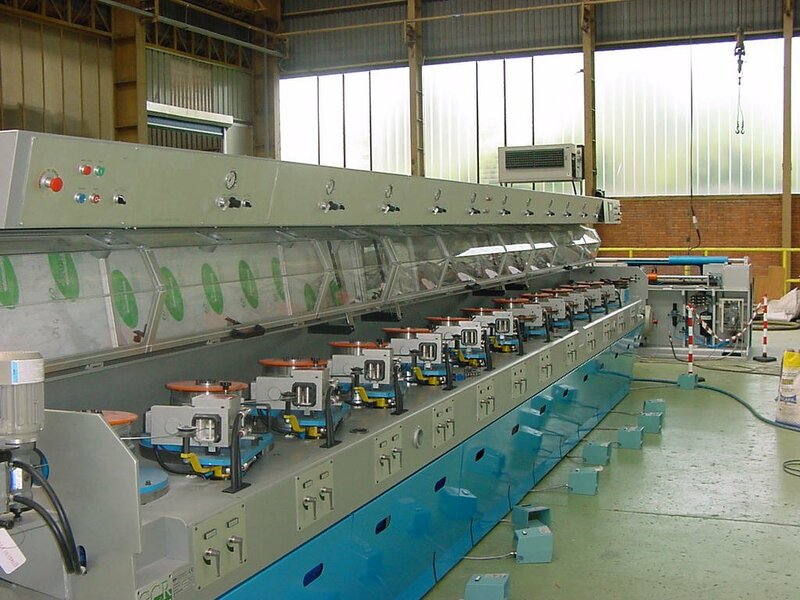 Eurodraw Wire Equipment can offer a very wide range of wire drawing machines, with capstan sizes starting at 150 mm up to 1200 mm in diameter. 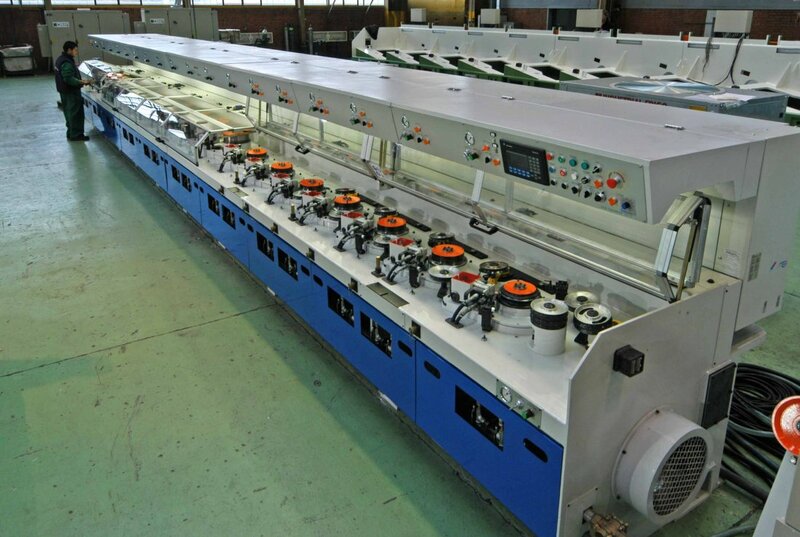 Eurodraw Wire Equipment wire drawing machines are designed and built in Italy, they are simply the most performant machines with the most efficient capstan cooling system available on the market. Three main models are available, the MTX model, the MTS and the MTO. 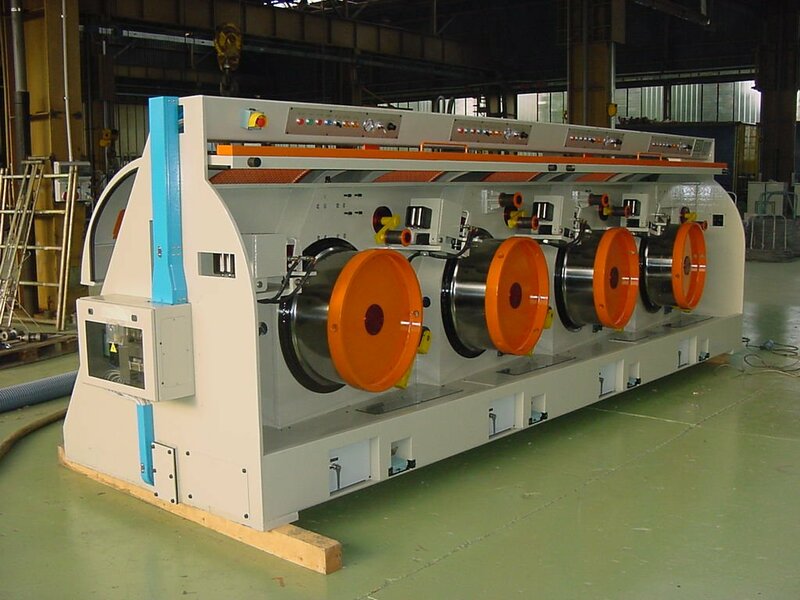 The MTX machine range is suitable for small to medium wire size, while the MTS and MTO machines can handle from 5.5 to 20 mm low and high carbon wire rod. The MTO machines are designed with horizontal axis capstan while the MTX and MTS have vertical axis capstans. Integrated electrical cabinet and cooling system. 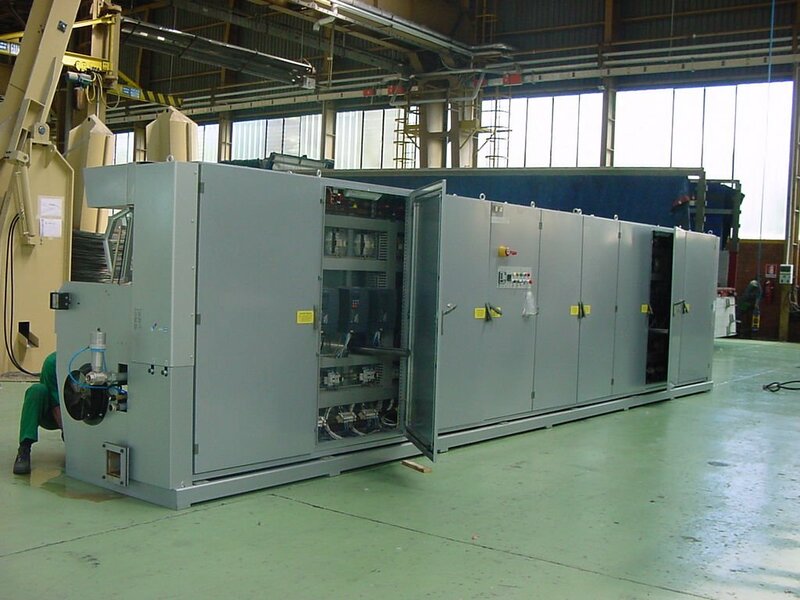 Our MTX machines do NOT require any installation besides the connection to the electrical power supply, no foundations, no fixation to the floor. Our smaller MTX machines have direct drive transmission, no belts to worry about and reduced possibility to generate vibrations. The noise level is below 78 dbA which is the lowest in the industry. Outstanding ergonomics: The machine has integrated lights that make the working area bright. The control push buttons are over the capstans so they are in a safe area that cannot be pressed accidentally. 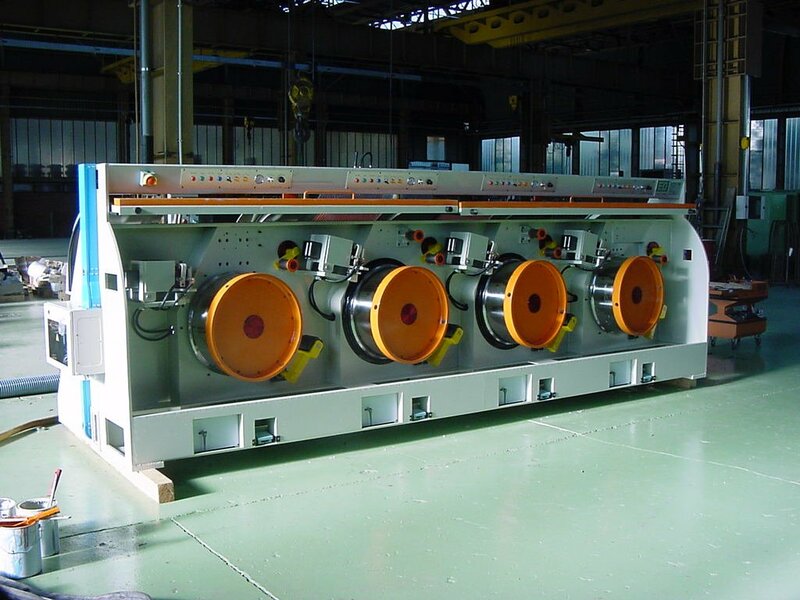 Suction orifices are provided to connect the machine to a dust vacuum system. 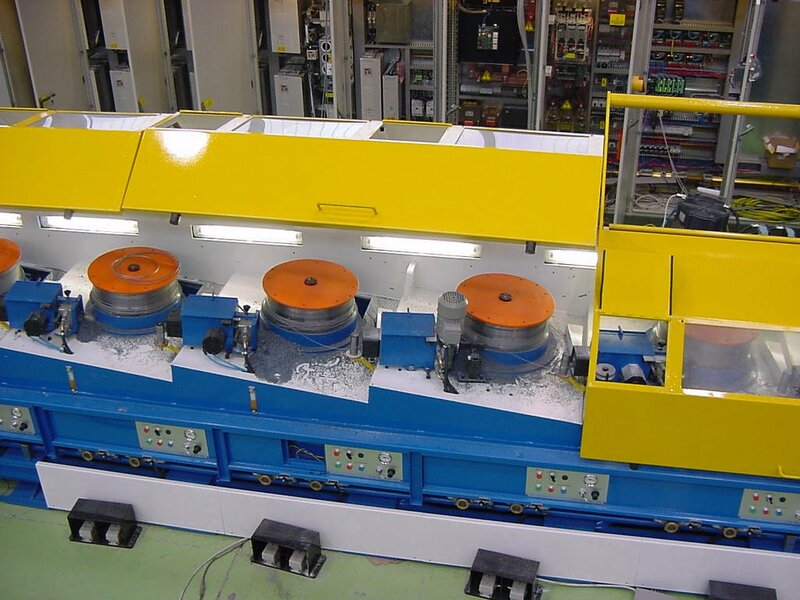 Easy adjustment system for the dieboxes: setting the cast is now easy on these machines as the position of the diebox is controlled by two knobs placed on the side of each die-holder. By turning these knobs the die-holder moves up and down or left and right without any effort or need of tools. Changing a die made easy: our exclusive square cartridge die holder allows to change a die in a matter of seconds and without any tools. Outstanding capstan water cooling system. Our newest cooling system uses 15% less water and can cool 7% better than the previous one. 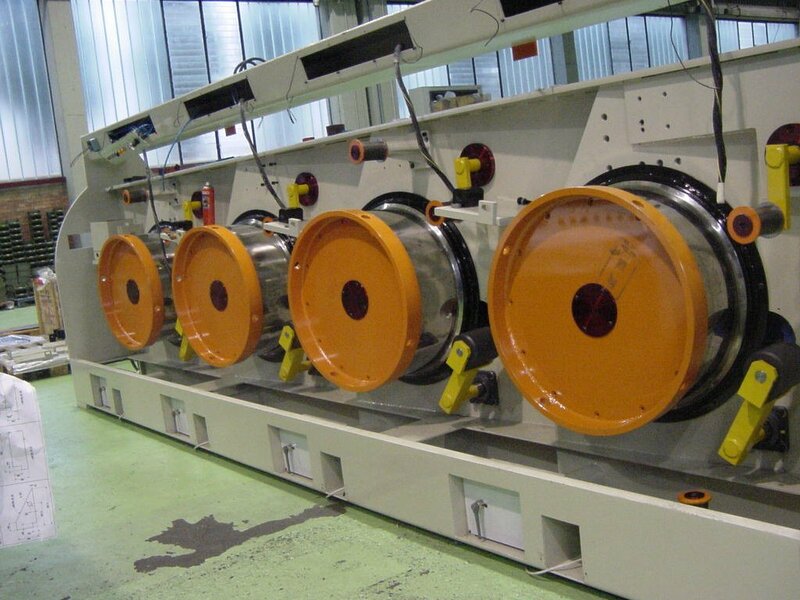 This translates in higher machine performances and lower production costs. Forged steel capstans, deeply induction hardened to 62 Rockwell C for maximum life and wear resistance. No need of foundation work. 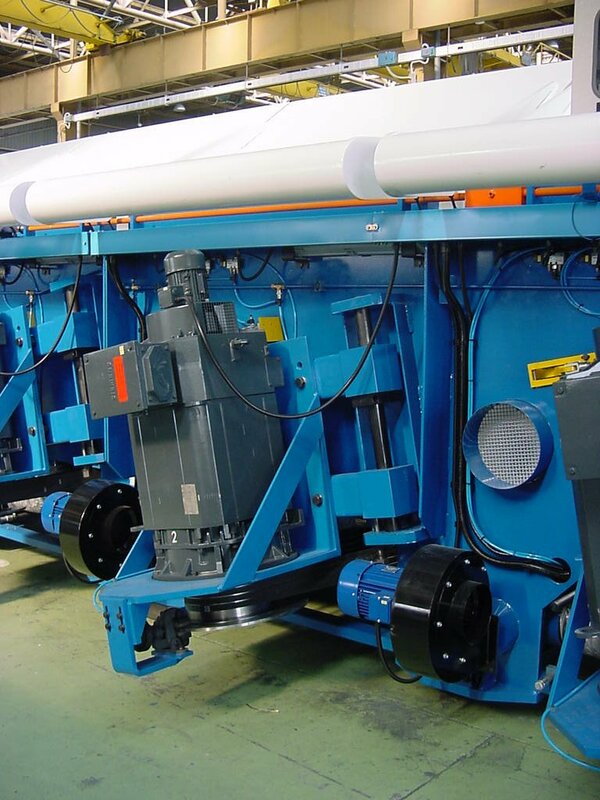 Our machines are simply placed on the floor and fixed with two bolts at each end. Easy to adjust motors as these are mounted on swiveling stands at the back of the machine. No separate stand to be fixed to the floor like other manufacturers do. High efficiency parallel axis gearboxes. We source our gearboxes from the best manufacturers that are specialized in this field, no low efficiency in house made gearboxes are used. This allows to use for all our applications the best available gearbox without needs to compromise anything. Dustproof design with suction orifices provided in strategic locations. 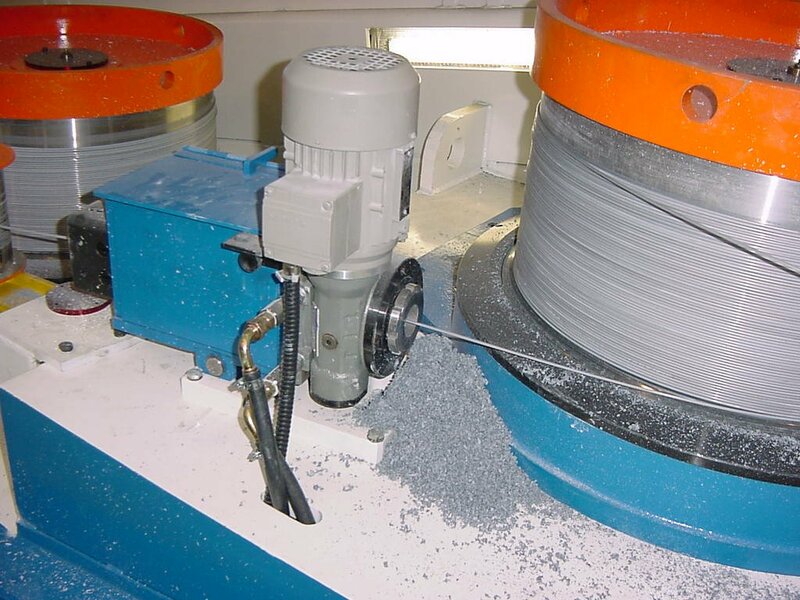 The MTO machines are configured with horizontal axis capstans and are mainly suited for larger wire sizes. All the mechanical parts are similar to the MTS machines with the exception of the frame.